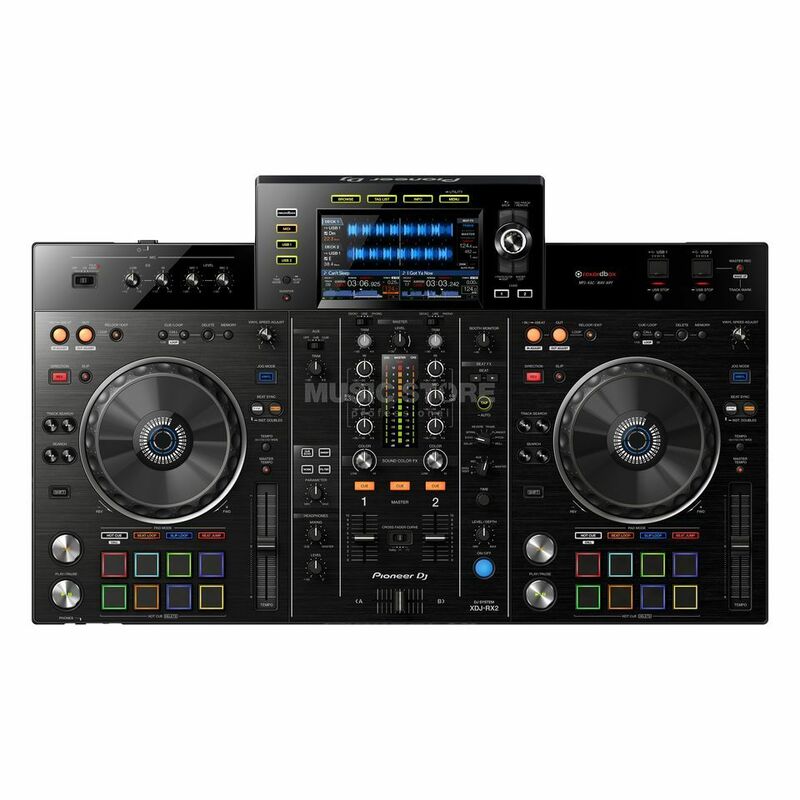 The Pioneer XDJ-RX2 All-In-One USB DJ System is an all-in-one DJ system with rekordbox DJ included, offering MIDI control and accepting AAC/MP3/WAV/AIFF formats. The XDJ-RX2 is a two-deck, two-channel system that delivers a professional DJ experience whether you connect via your laptop or music stored on a USB device. Featuring a large, 7" touch screen with QWERTY search, and eight large, multi-coloured Performance Pads, this system provides you with smooth control over Hot Cues, Beat Loop, Slip Loop and Beat Jump. Perform precise, smooth mixes with EQs and channel faders and add creative flair with the Sound Colour FX and Beat FX. With the USB connection (Link Export), you can connect your laptop directly to the XDJ-RX2 and import your tracks to rekordbox. A rekordbox dj licence key is bundled with the XDJ-RX2.